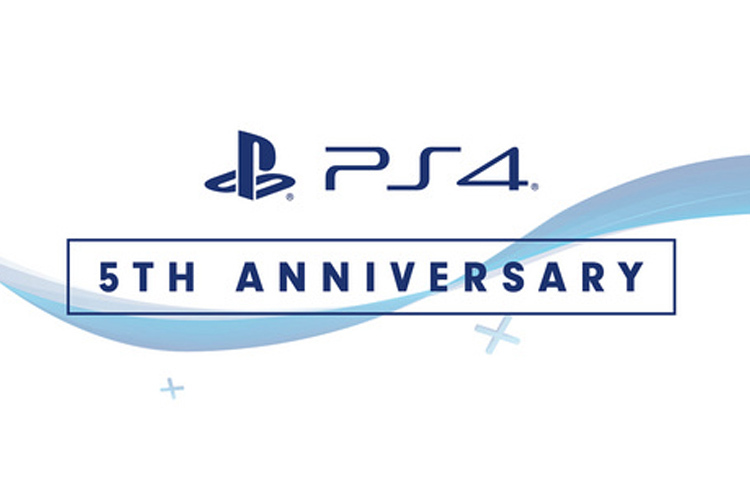 Sony took the wraps off the PlayStation 4 back in November of 2013, which means it’s been five years since the console was first unveiled. To celebrate this special day, Sony decided to paint a pretty picture of the PlayStation4’s journey so far. The company released an infographic detailing some unique PS4 stats, including the most played games, the most popular DualShock 4 color, and more. First and foremost, Sony has boasted some numbers. Sony says it has sold over 86 million PS4 units worldwide. Of course, the number is not as high as PlayStation 2’s 155 million unit sales, but it’s better than both PlayStation 3 and Xbox One’s numbers. Sony also says it has sold close to 778 million units of software, which is, again, in an impressive figure. And Sony is proud about the fact that it has pushed a total of 11 major software updates to the console from 1.01 leading up to the most recent 6.00. It’s hard to talk about PlayStation 4 without talking about the games. According to Sony, the Call of Duty: Black Ops 3, Call of Duty: WW2, FIFA 17, FIFA 18, and the Grand Theft Auto 5 are the top five best selling titles. 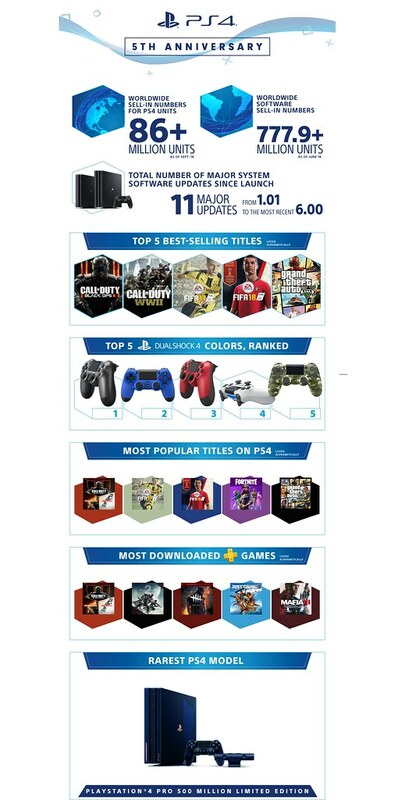 The most popular games, on the other hand, includes Call of Duty: Black Ops 3 (Season Pass, and Zombie Chronicles), FIFA 17, FIFA 18, Fortnite, and the Grand Theft Auto 5. With PUBG coming to PS4 soon, we could see some changes in these rankings. Sony also revealed that Black DualShock 4 controller was the most popular color, followed by Blue, Red, and White. Lastly, Sony also noted that the recently launched “PS4 Pro 500 Million Limited Edition”, is the rarest PlayStation 4 model. In addition to the stats, Sony also announced the new Call of Duty: Black Ops 4 bundle, which is said to arrive in stores later this month. The bundle includes a 1TB console unit, a matching DualShock 4 controller, and a physical copy of the game for $299.99.